As a new or experienced medical transcriptionist, it's important to have the best tools at your disposal. Doing so provides your clients with accurate and proficient transcriptions of their records. Aside from a computer, your medical transcription software is the foundation of your ability to do this. 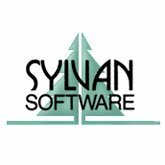 Best of all, the software increases your productivity and turnaround time! Medical transcription software platforms let you take dictation from telephones, digital audio files, and handheld personal digital recorders, just to name a few. Using a headset and a foot pedal, a medical transcriptionist using such software can access a variety of dictated files in a number of formats, depending on the doctor's preference. Lots of transcription software packages offer built-in word expanders and medical spell-check dictionaries. Word and abbreviation expanders can increase your typing speed by up to 70%. When you decrease the amount of keystrokes you make, productivity goes up. You not only save time, but make more money. If you're serious about your transcription career, then this is a fantastic way of leveraging your effort! Most medical transcription software packages offer autocorrect functions as well as templates for major styles and formats for all types of medical reports. The first thing is to determine your own needs. There are dozens of medical transcription software packages, each offering different functions and capabilities as well as fitting different budgets. Will you be transcribing dictation delivered via a single or multiple telephone line dictation system, or not at all? Will you receive dictation via telephone, iPhone, iPad, digital recorder tapes, or a combination of these? Are most of your jobs focused on website-based document management, storage and retrieval systems such as FTP (file transfer protocol) when it comes to accessing medical transcription reports from an independent practitioner? Will you be transcribing dictation from physical audio files (tapes)? Stick to the basics when you start out. Until your clientele increases dramatically, or you focus on transcribing documents from a specific specialty or subspecialty, you don't need all the bells and whistles that come with some of the more expensive software programs out there. An affordable medical transcription software package may cost $200, while a top-of-the-line option may cost over $2000. You can even find software that costs less than $100. While these cheaper programs may not have full functionality or options as the more expensive programs, the majority of medical transcriptionists find that affordable software is more than adequate for their needs. The Start Stop medical transcription system offers a variety of products to make your job as a medical transcriptionist much easier. It provides a professional and sturdy foot pedal that has speed control, forward and reverse functions, and lets you playback any type of dictation or digital recording. 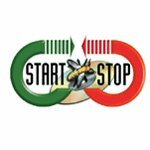 The Start Stop system works with a variety of Windows operating systems (MS Windows 98, 2000, ME, XP, Vista and Windows 7), and also works on Blackberries, and iPhones. It supports audio playback support in nearly a dozen multimedia formats. The Start Stop Universal transcription system averages $200, making it one of the most affordable medical transcription systems available on the market. IntelliComplete starts at around $50. The cost of the PowerPlayer audio transcription software ranges between $45 and $75, and is compatible with Windows. This specific medical transcription software includes position, volume and speed control. You should also be familiar with other common equipment that medical transcriptionists use.